Track performance, errors, and Lighthouse scores for your production site and in CI. Access the data you need to understand and fix problems. Track user experience based metrics like First Contentful Paint, Speed Index, and Time to Interactive. 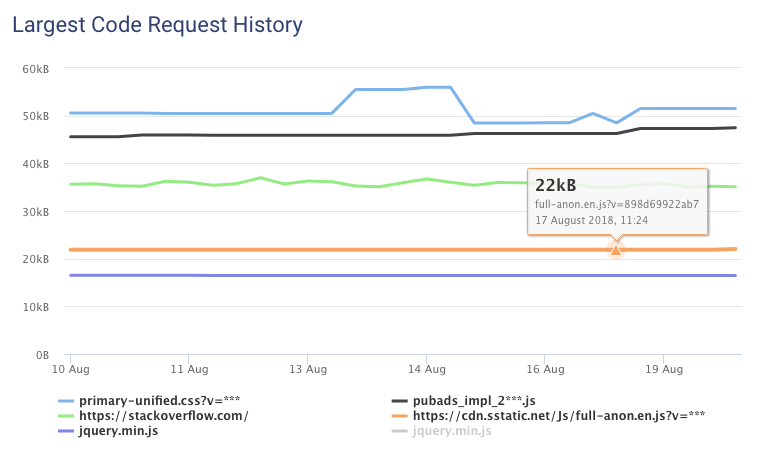 See how client-side code execution impacts performance. 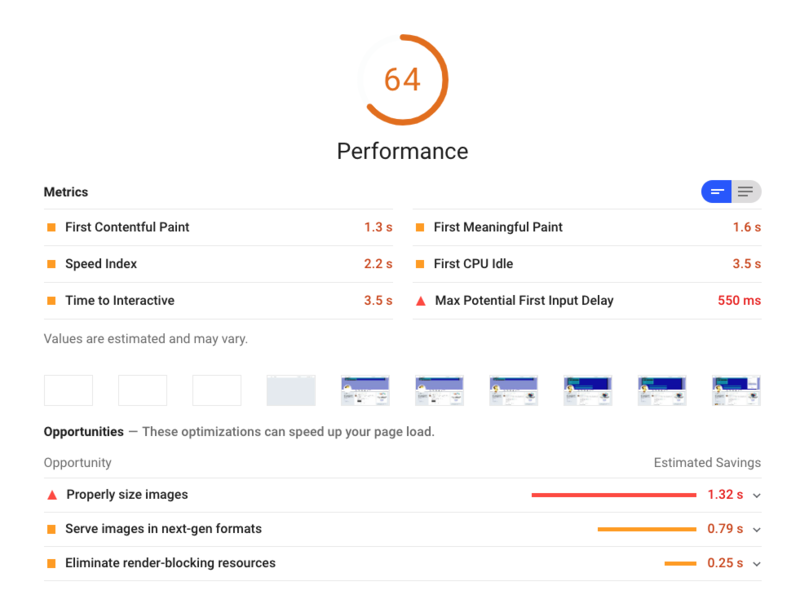 Track Lighthouse scores for performance, accessibility, best practices, and SEO. Improvement opportunities tailored specifically to your website. Wondering what part of your JS just got larger? DebugBear can track size changes even if the file hash changes over time. Wondering when a bug was introduced or how a feature used to work before? Load a fully interactive archive of the old page version in your browser. Just enter the URLs of the pages you want to monitor and we'll do the rest. Either once a day or once an hour DebugBear loads and analyzes your website. If there's been a big change we'll let you know. Access pages behind authentication. Disable GDPR notices with custom scripts. Block third-party requests to monitor just your own code. Use the command line interface to analyze each build and catch regressions early. Deploy to a staging server or use ngrok to allow access to your CI server. 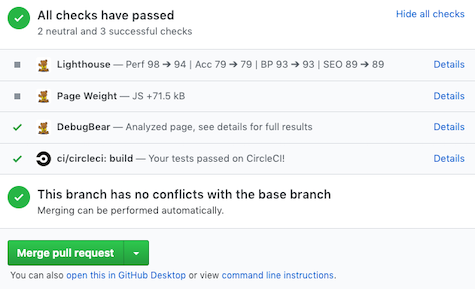 Report results for each commit to Github. No changes to your website necessary.